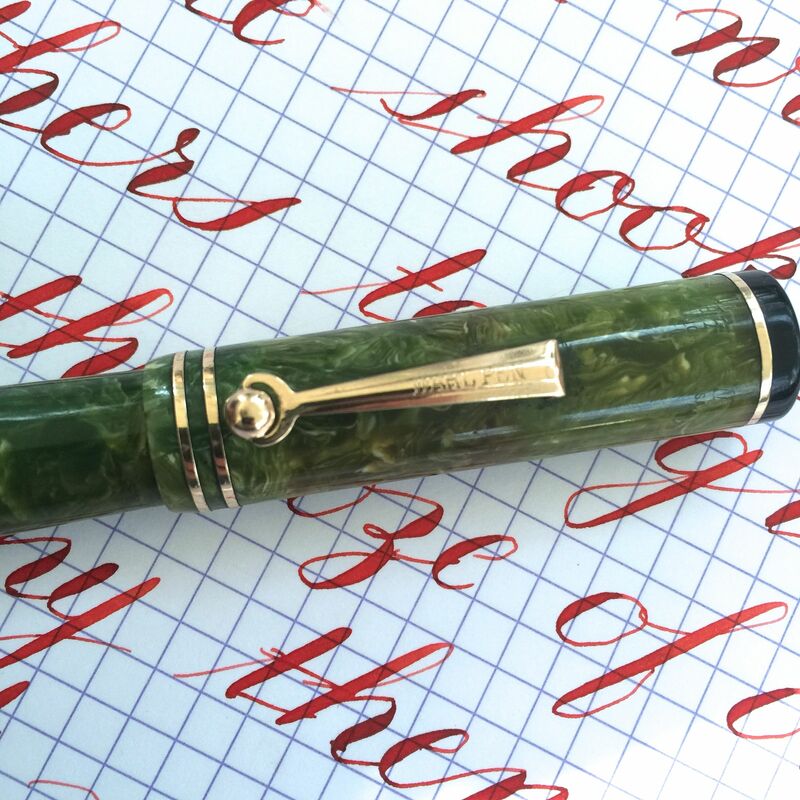 Here is a Wahl Flat Top Oversize pen in a green celluloid. 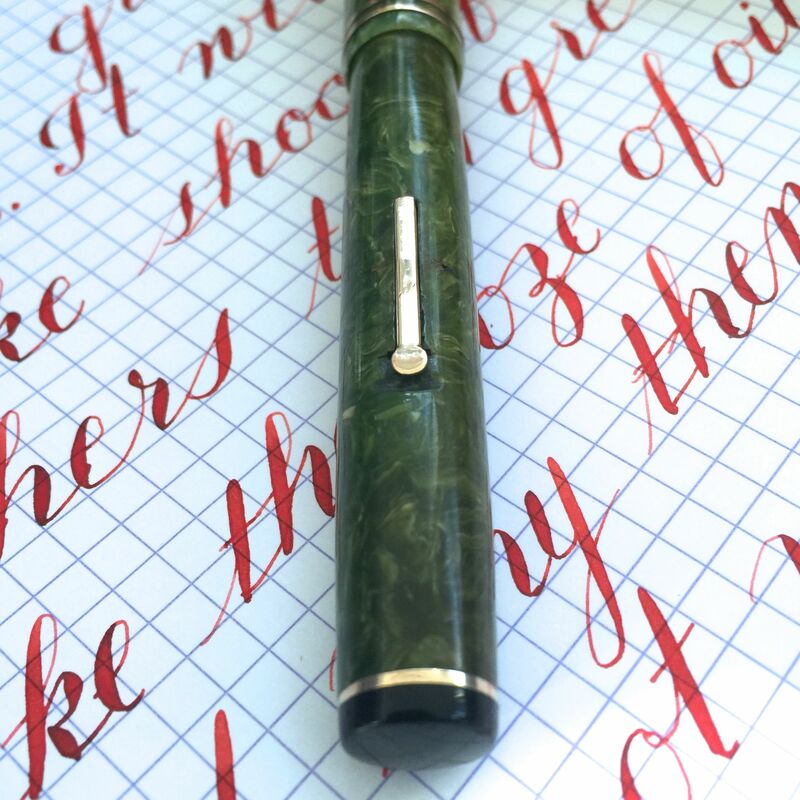 The pen is in pretty good condition. 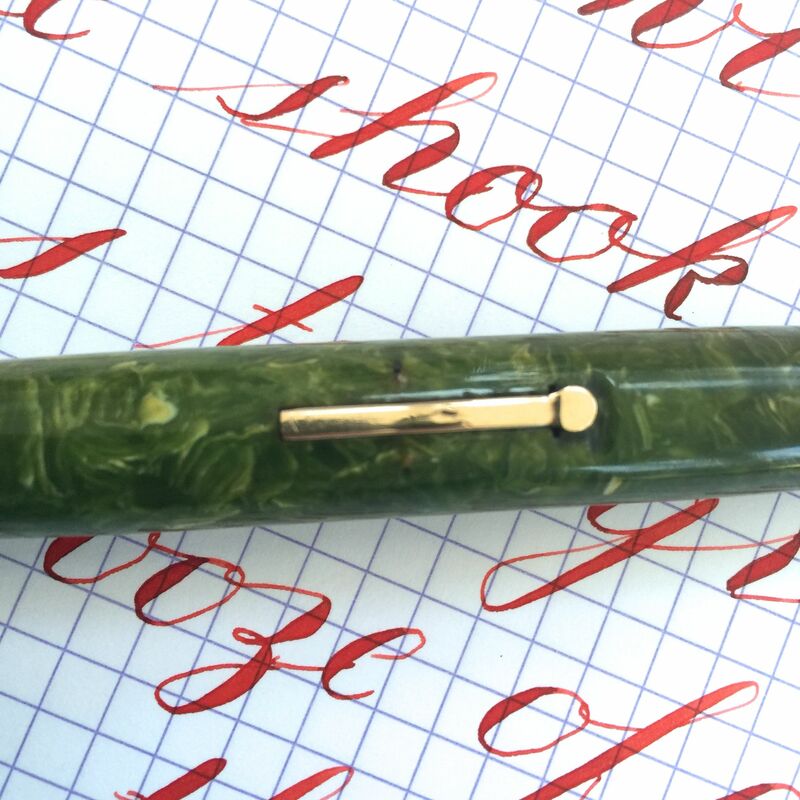 The green has browned in spots on the cap (probably due to ink staining from inside the cap), and is a hair lighter in color on the cap than the body. But overall the color is quite good for this material which is generally much more altered. The black hard rubber ends are still jet black black and shiny. The gold filled trim all looks to be free of brassing. 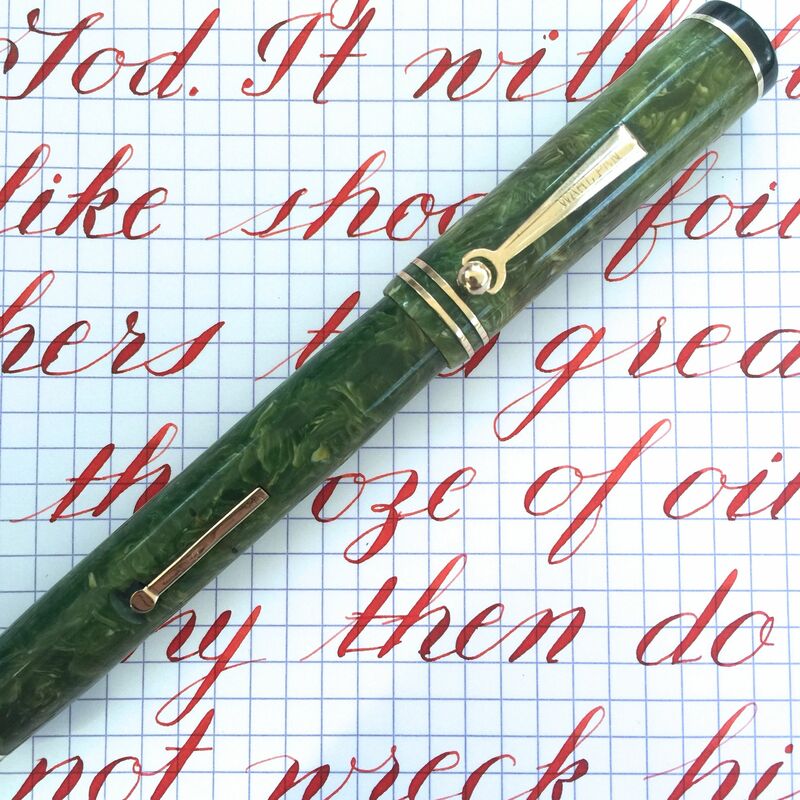 The one flaw the pen has is the lever is a little bent in the middle leaving the bottom and top of the lever sticking out from the body a little. There are also a few marks on the lever. The massive 14kt. 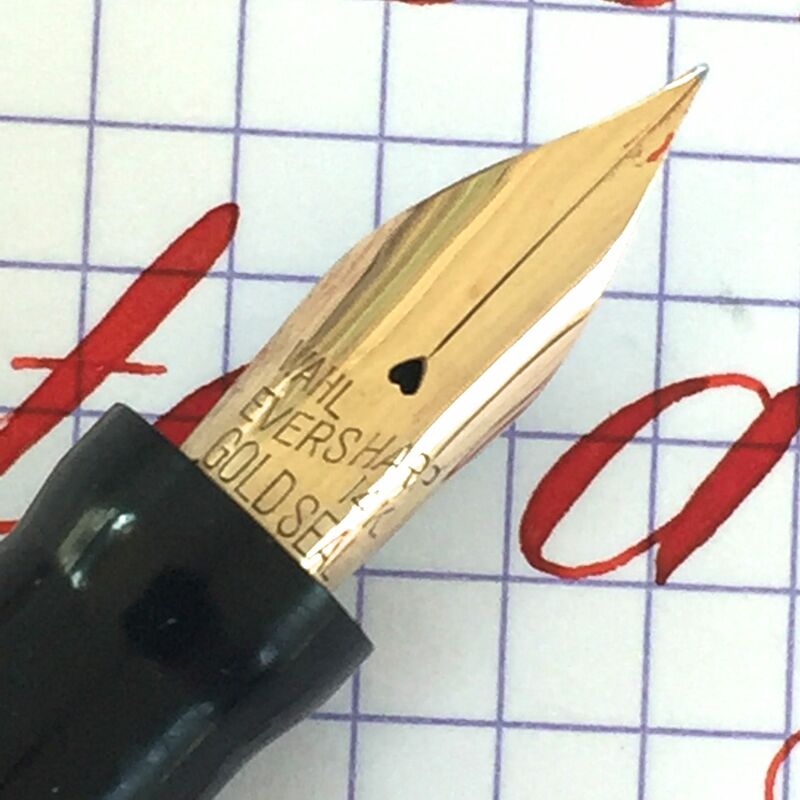 Wahl-Eversharp nib is a factory made Gold Seal “FLEXIBLE” (The “flexible” imprint is hidden under the section). 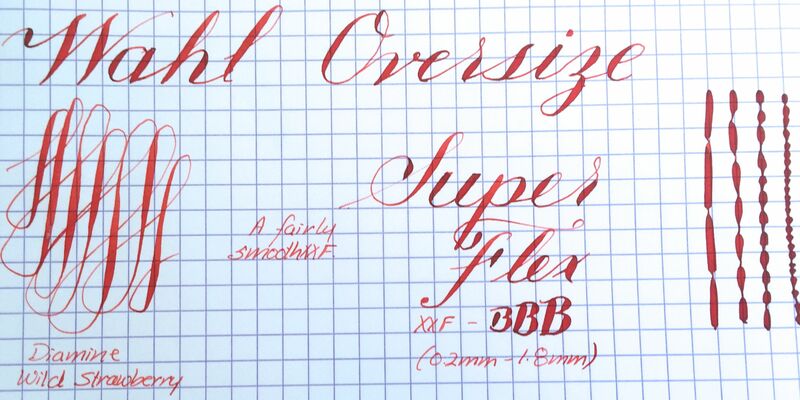 It writes normally as a XXF (0.2mm) and has a nice flex range up to BBB (1.8mm). The flex is on the stiff side for a super flex, but with that kind of range I felt that grade was warranted. 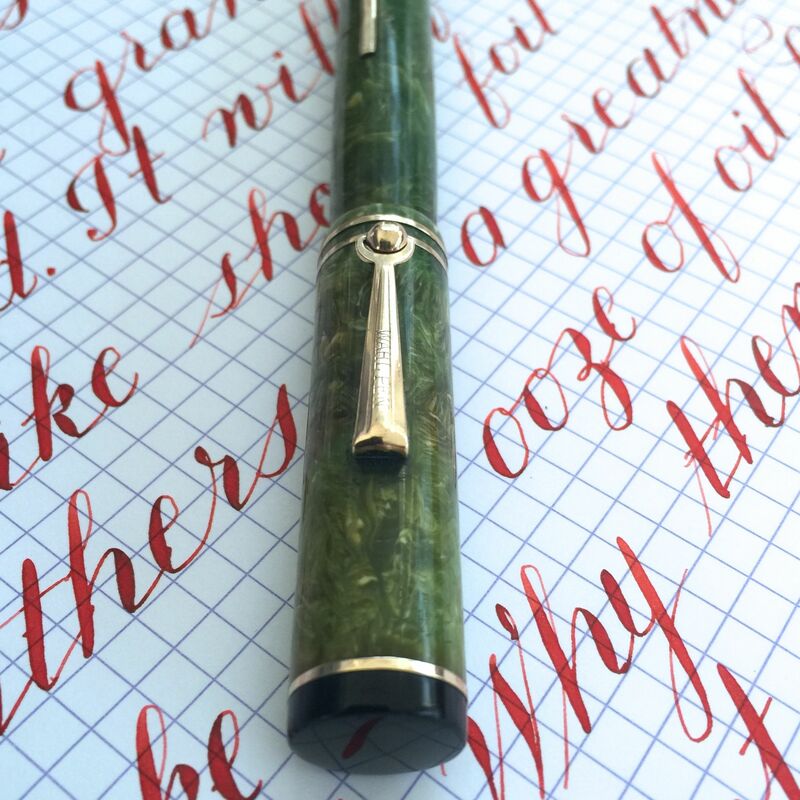 If you like big pens and fine nibs, this is for you.